Passport, the No.1 Scotch whisky in Angola, and No.2 standard Scotch whisky in Mexico and Brazil unveiled earlier this year an innovative new above-the-line campaign designed to build on the brand’s recent success. (See news item). Passport grew +20% in net sales to reach a record 1.7m cases last year as it continues to consolidate its relevance among young adults in emerging markets. What is the Passport #UrbanArtProject? Why have you launched the Passport #UrbanArtProject limited edition bottle? How did you identify urban art as a passion point among millennials in emerging markets? Why did you choose to partner with Jim Vision to bring the #UrbanArtProject to life? What is it about Passport that appeals to millennials in emerging markets? In which markets in particular are Passport sales strong? Why are they strong in these regions? 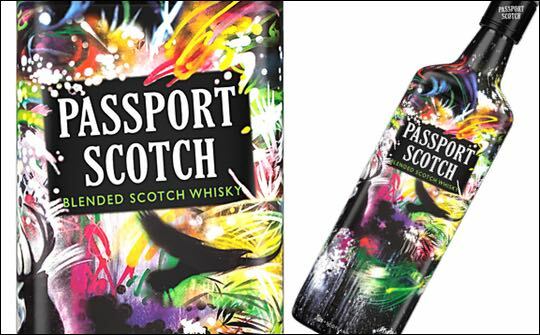 “Passport is the fastest growing blended Scotch (that sells more than 200,000 cases) and grew 20% in net sales to reach a record 1.7m cases sold in the year ending June 2015. It is the no.2 standard Scotch in Brazil and is also performing strongly in Angola and Mexico. Where do you see room for growth for Passport within these markets and further afield? How will the #UrbanArtProject bottle help Passport to get there? “I think Passport has great potential in all emerging markets with their growing middle classes who are more and more attracted to international spirits brands such as Passport. With so many brands competing for consumer attention, what do you think will make Passport #UrbanArtProject stand out on shelf? What future plans do you have for Passport and the other brands you represent?